Employers in California may not retaliate against an employee who files a discrimination or harassment claim, an employee who applies for workers’ compensation, or an employee who reports an illegal activity. An award-winning law firm, the attorneys of Geonetta & Frucht, LLP have more than fifty years of combined legal experience fighting on behalf of the victims of employer retaliation. An experienced lawyer at Geonetta & Frucht, LLP can offer honest legal advice, an aggressive legal strategy, and seek the best possible resolution of your claim. Geonetta & Frucht, LLP is recognized by the Bay Area legal community – as well as our clients – as one of the top Bay Area law firms. Our lawyers have worked hard to earn our many positive reviews. A lawyer with Geonetta & Frucht, LLP will fight aggressively for the best available monetary award or settlement for every client in Oakland. IS EMPLOYER RETALIATION AGAINST THE LAW IN CALIFORNIA? Employers in this state are free to choose which employees they may hire and fire, provided that no employee in California is terminated for a reason that is illegal. For example, you cannot be fired from a job because of your race, ethnicity, religion, or disability. You can’t be fired for filing a discrimination or harassment claim or for taking the employer to court over wages or benefits that have not been paid. You can’t be fired if you file for bankruptcy. If you’ve been injured, you can’t be fired if you applied for workers’ compensation. And no one in California can be terminated for reporting an illegal activity or for refusing to engage in an illegal activity. In California, if you are the person being terminated from your employment for any of these reasons, you are probably a victim of employer retaliation, and you need to act – right now. Consult an employer retaliation lawyer with Geonetta & Frucht, LLP immediately if you are terminated from your job, demoted, or denied benefits because an employer is retaliating against you. The attorneys at Geonetta & Frucht, LLP have half-a-century of combined legal experience fighting for the rights of employees in Alameda County, Santa Clara County, San Francisco, and throughout the state of California. FOR WHAT REASONS DO EMPLOYERS RETALIATE AGAINST EMPLOYEES? When a California employer retaliates against a worker, it is typically for one of two reasons: because the employee has reported or sued the employer for discrimination, harassment, or unpaid wages or benefits, or because the employee reported an employer’s crime to the police or otherwise exposed or “blew the whistle” on an employer’s criminal activity. Additionally, employers may not wrongly terminate or retaliate against employees who request or take legally protected leave, employees who file for bankruptcy, or employees who apply for or obtain workers’ compensation benefits. And since 2016, California employers may not retaliate against employees who request a religious accommodation or an accommodation for a disability. Every incident of retaliation is unique, of course, so if you believe that you are a target of employer retaliation in this state, you will need to have a knowledgeable California employment lawyer sort out the facts and recommend your best course of action. Under state law in California, workplace retaliation is unlawful if an employer punishes an employee for reporting illegal conduct, refusing to engage in illegal conduct, reporting fraud, filing a wage claim with the California Labor Commissioner, filing a discrimination lawsuit, complaining of workplace discrimination or harassment, or assisting other employees in filing a lawsuit or complaint of illegal activity in the workplace. Federal law additionally protects a California employee from employer retaliation if the employee pursues a discrimination or harassment complaint with a federal agency like the Equal Employment Opportunity Commission (EEOC). 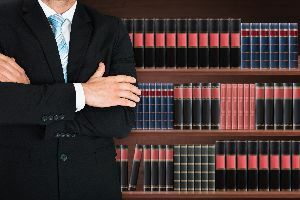 An employer cannot retaliate against an employee for cooperating with an EEOC investigation or even for testifying as a witness against the employer. Wrongful termination is against the law in California. If you have been wrongfully terminated from your employment, in some cases you can be reinstated, and you may also in some cases be able to obtain financial damages. Termination, however, is not the only action that constitutes employer retaliation. Employer retaliation can include unreasonable or unfair workload increases, wrongful demotions, wage or salary cuts, shift reassignments, and more. HOW CAN AN EMPLOYMENT LAW FIRM HELP WORKPLACE RETALIATION VICTIMS? With over fifty years of combined legal experience, the attorneys at Geonetta & Frucht, LLP focus predominantly on employment law and employees’ rights. We counsel and represent clients in Alameda County, Santa Clara County, San Francisco, and throughout the Bay Area and the state of California. If you are a victim of workplace retaliation in California – now or at any time in the future – an Oakland employer retaliation attorney with Geonetta & Frucht, LLP will try to obtain a settlement for you outside of the courtroom. That’s the first step. If an out-of-court settlement cannot be negotiated, we advocate aggressively on your behalf at trial, putting our decades of employment law experience to work on your behalf. We know how to assess your case, how to provide the representation you need, and how to win the justice you deserve. Both before and since our law firm was founded, the employment lawyers at Geonetta & Frucht, LLP have recovered more than $45 million in settlements and judgments for their clients. Despite our record of success on behalf of clients, a variety of honors and recognition from our peers in the legal community, and decades of effectively handling employment rights and employer retaliation claims, we still offer every client outstanding personal service and treat every client with complete courtesy and consideration. If you have been terminated, demoted, or targeted for employer retaliation in some other way, get legal help at once. You may be entitled to compensation as a result of the employer retaliation, and it will cost you nothing to learn more. Your first legal consultation with Geonetta & Frucht, LLP is free. Contact us online using the contact form here on our website, and we will get back with you promptly, or call us from anywhere in California at 510-250-2743. If you need justice, do not wait. Speak to an experienced Oakland employer retaliation attorney at Geonetta & Frucht, LLP right away for the legal advice you need regarding any incident of employer retaliation in California.